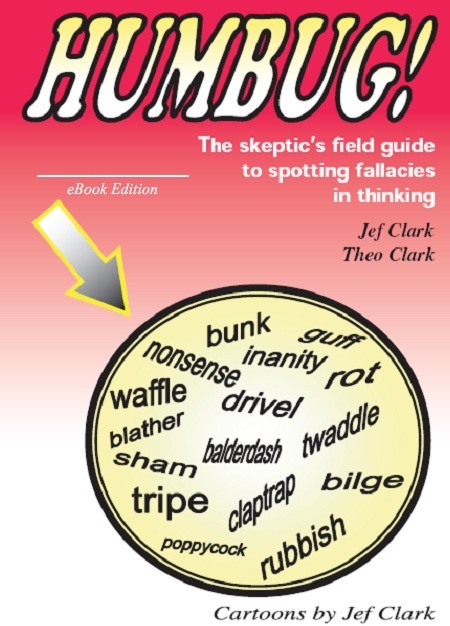 The Skeptic's Field Guide: Writing in Public - 2nd (ebook) edition of Humbug! Writing in Public - 2nd (ebook) edition of Humbug! I have been, very slowly, working on a second edition of Humbug! 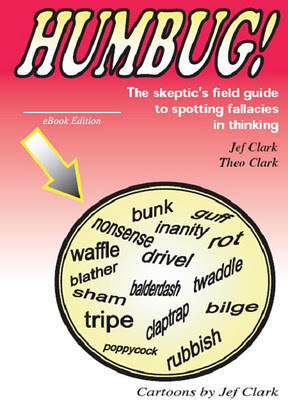 The skeptic's field guide to spotting fallacies in thinking, which I intend to release as an ebook for Kindle, iBooks and all the other relevant ebook platforms. In an effort to spur myself onward, to make a better product, and to do something more with this site, I am going to post drafts of the second edition as I write them. This also follows a "business model" advocated by people like Cory Doctorow - free. That is, all of the second edition of the book will be available online for free. But if anyone wants it in a coherent whole, they'll be able to purchase the ebook (for a small price). The original ebook will still remain freely available. Part 1 (Purpose and usage) posted soon.